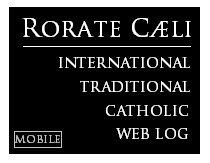 RORATE CÆLI: Fellay: the first interview"I am confident"
A very thoughtful, pastoral series of replies - worthy of a true son of the Church. May God continue to bless Bishop Fellay. Wow, this is a great interview! It seems that the good Bishop Fellay has taken a much more humble approach in this interview. It doesn't smack of arrogance nor negativity, but rather hope and confidence! I'm not sure the answers given in this way could have been given even three years ago! Deo gratias! All the more reason for us to pray fervently that the apparent divisions may be healed. The Enemy will not like the resolution of this dispute, as it will increase our strength and eliminate one of the manipulable levers he has at hand. Bishop Fellay has responded well. I hope that he publicly disciplines Bishop Williamson for the grave scandal he has caused. Face it: whatever the latter thinks about the Holocaust, it was first and foremost imprudent to offer his own personal view on a matter of secular history, which is not at all his field of expertise. There could be a sin of pride involved in speaking one's personal views on a matter not at all related to one's specialty, particularly in a public forum, and particularly when such views can imperil both the Church and the souls of those who, by the offsense and injury sustained, could be lost forever. Would that Bishop Williamson get on his knees and pray for those precious Hebrew souls to recognize their Messiah, instead of imprudently offending them with a public rant. St Paul would have gladly (figuratively speaking) given up his own salvation if he could to lead his own people to the Messiah. And on the very feast of St Paul's conversion, Bishop Williamson does this to the stock of St Paul. He ought to be truly disciplined and made an example of. One ought not to shy away from this for fear of repurcussions. If a bishop cannot be charitable in speech it is a terrible scandal for a re-union so many of us have prayed and hoped for. Anonymous, being wrong about history does not make one "uncharitable", even if some are offended by it. Be careful with your accusations. - [Fellay:] It does not belong to me to condemn them. I do not have the competence for his. But I deplore that a Bishop may have given the impression of involving the Fraternity with a view that is not ours. That is as far as Bishop Fellay, a decent and honorable man, is willing to go. Why is it that this is not enough for some people? He has much bigger fish to fry in his discussions concerning doctrine with the Holy See. Actually, I think the Williamson affair could have a silver lining. It might chasten the Society a little, instill some humility, and reduce any triumphalist tendencies. It should also help them realize the political realities that Pope Benedict must deal with and just how much he has risked on their behalf. They now need to show similar courage. It just seems so out of character for any SSPX bishop to say things that are so obviously wrong. Bishop Williamson is an intelligent man, and I can't believe he would have risen to where he is in such a truth-defending order as SSPX if he was a hater. Did he really say that no Jews were put into the ovens in the obvious context? Has he explained his remarks? The Saints and Popes have been very blunt and critical of Jews also (and charitable in action, too), but their withering criticisms have been based on widely known historical facts, not obvious errors like this. Something just isn't right here. I admit it looks bad, but I'm withholding judgment until I hear a bit more. The original Anon here again. I'm not judging Bp Williamson for his views, but for the imprudence of expressing views on a secular topic in public that he knows (he can't be that out to lunch) will have major ramifications on the society and the Pope. That imprudence itself is culpable of a man with such a high ecclesial authority. And yes, saying such things is certainly uncharitable to many of these people who lost relatives in the war. It has the appearance of a denial that their loved ones were murdered at all. Not to mention that clearly Pope Pius XII himself had never expressed such views. And this from a Pontiff who lived through the horror himself. If a Pontiff in 1945 to 1948, who one imagines is deeply revered and loved by Bp Williamson, expressed such love to the Hebrews when it came to the horrors of the war, why such a rant on a matter of secular history. Ah, you might say, but he was asked by the Swedish media individual. Well, he could have responded as such: "Not being an expert on secular history, I decline to comment. For a position of my society on these matters, please refer those questions to the head of our society." "But I deplore that a Bishop may have given the impression of involving the Fraternity with a view that is not ours." By the standards of what is usually said Society public utterances, that's fairly damning of Williamson. Which is well, since it needed to be said. I think that this is an excellent interview and I can understand why his remarks about Williamson (who has a screw lose even though he went to Cambridge) are phrased the way they are. There probably cannot be any projection of in-fighting among the 4 bishops that the SSPX community picks up on. Note how they are so often photographed together to show a good projection of unshakable unity in the spirit of the man who consecrated them. I don't think that Bishop Fellay is even able to "discipline" Williamson as someone mentioned above. If he tried to do anything that smacked of discipline, even curtailing his public appearances and interviews, then Williamson and his fans might break and the schism splinter apart further - with a man who can ordain more priests and even consecrate bishops! This is extremely delicate, it has to be all or nothing with the SSPX bishops. Both Pope Benedict and Bishop Fellay need our fervent prayers that things don't go sour. Maybe some of us would say there is not much to be gained by playing these number games. Or discussing chemistry when it's not in your field of expertise. Sure, there's something of a Holocaust industry and hairtrigger sensitivities in play. But whatever the numbers, the realities (which are beyond empirical question) remain: the Nazis desired to wipe out the Jews, certainly the ones in Europe, and put machinery in place to effect it. That's enough to say. It was a great evil. 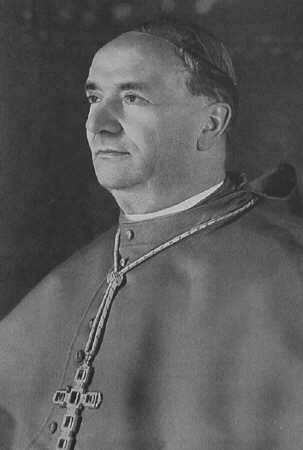 And it was the inevitable root of the mendacious ideas condemned by Pope Pius XI in Mit Brennender Sorge. I don't see what was gained by making such controversial (and dubious) remarks. The SSPX has plenty enough controversies in theology to tackle - and that is job one right now. And as to that job, I feel some optimism, some greater hope, now about full regularization after reading this interview. Although only a seminary rector--not first or second assistant to the Superior General, I am fairly certain that Williamson is on the Grand Council of the SSPX. I do not remember the whole organizational hierarchy of the SSPX, but I believe that Fellay is correct and speaking on more than one level when he states that he has no competence to condemn Williamson. Wonderful comments...exactly what I was hoping to hear! A fresh breath of air coming back in the church, this is why we need out SSPX brothers. I would certainly agree that it was imprudent for Bishop Williamson to say what he did and he should have known that it certainly would be used against him and the Society. Stating that I would say that there are a little more than "hairtrigger sensitivities" involved. The numbers that died in reality are not that important and I say that only in the sense that whether one died or the six million it is still a tragedy. The problem I have is why can't this piece of history be discussed or questioned? True, there are Nazi apologists, anti-semites and racists out there but they are a miniscule minority and can anyone that professes such views be received with any favorability by the media? However, why can't it be discussed and questioned? People in Europe are imprisoned, lose their livelihoods and suffer violence for such questioning, why is that? It is the political use of the death of Jewish people in WW2 that is also a tragedy. This inability to discuss this topic only fuels further questions. 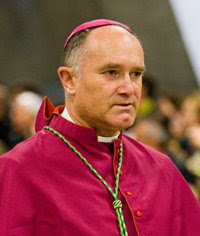 However, stating that and, even though I think the Bishop was set up, he should have known better, but the response by Bishop Fellay was masterful as the press probably wanted to hear continuous mea culpas and see the groveling of the SSPX. God bless our Holy Father and the SSPX. 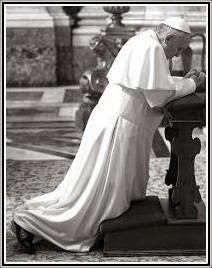 And may those that think that either the Holy Father or the SSPX needs to humble themselves think about humbling themselves first. The problem I have is why can't this piece of history be discussed or questioned? With due respect, an SSPX bishop being interviewed about reconciliation with Rome - or pretty much any other subject - isn't the time or place (or the man) for it. Especially given the perception that already exists that anti-semitism still exists in significant degree in the Society, particularly given the history of the old Catholic Right in, say, France. The unfortunate truth is that too often, those who raise these questions have other agendas, and, whether it is fair or not, the SSPX is frequently suspected of such. But I find it impossible to disagree with your observation: "The numbers that died in reality are not that important and I say that only in the sense that whether one died or the six million it is still a tragedy." For the time being, it is sufficient to say that, and for the SSPX leadership to "stay on message" while these negotiations are underway. For the rest of us: we can pray. ...which is all another way of deploring the fact that this happy event has, in the public perception, become all about Bp. Wiliamson and the Holocaust, rather than about what it should be. Even in the best of circumstances, it's hard to get a fair shake from mainstream media reportage. And that is why there is a big difference between what one has a right to say (or should have a right to say in, well, Germany), and what is actually prudent to say in particular circumstances. Bp. Fellay: If the Church says today anything that is in contradiction with what it taught yesterday, and if it forced us to accept this change, then it must explain the reason for it. This is a masterful answer since there can be no contradiction. If negotiations confirm this, the SSPX will be newly strengthened in its denunciations of V2 "changes" as abuse. It seems to me that Bp. Williamson, more than being set up by a TV reporter, set himself (and the Society) up by his previous remarks in a religious context. If Bp. Williamson thinks these ideas religiously important, who can blame a reporter for asking about them? Nevertheless- bravos, kudos and thanks to Bp. Fellay for his sanity in navigating such treacherous waters. Pity not enough people will read this. Bishop Fellay has artfully framed the doctrinal discussions. I look forward to reading about these discussions. These, after all, are the heart of the matter. Also see Father John Hardon's, S.J., RIP, Modern Catholic Dictionary. Fr. does an excellent job of assimilating the documents of Vatican II into existing Catholic teachings. I have always admired Bishop Fellay. He is a voice of reason, charity and resolution, and is, IMO, just what we need in the Church today. Does anyone besides me think he will soon be made an Archbishop or a Cardinal (I hope, I hope!)? Way to go, Bishop Fellay. I thought these were the perfect responses. He is beginning to speak like a true prince of the Church. P.S. Fr. Z sent me. Bishop Fellay's comments are already a proper interpritation of the Second Vatican Council. I can't wait till Bishop Fellay and the Holy Father make a joint declaration. It really is true ecuminism at work. Laus tibi Christe! 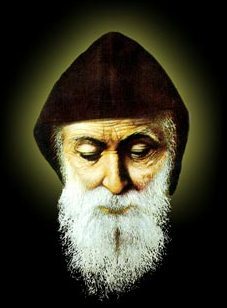 "In the essence, this crisis is caused by a new approach to the world, a new view of man, that is, an anthropocentrism which consists of an exaltation of man and a forgetfulness of God. The arrival of modern philosophies, with their less precise language, has led to confusion in theology." This is the same thing the Abbe De Nantes has been saying all along all these many years. 'Being wrong about history does not make one "uncharitable".' Denying the Holocaust happened is not a dispute over the history of pre-Sumerian civilisations, and is not in fact a dispute over a hypothesis about history. Historians, like other investigators, examine questions within the framework of facts that are knowable to everyone, without any specialist knowledge; in the absence of such a framework there is no possibility for specialist investigation at all. So, for example, historians can debate whether or not the Soviet Union was preparing an attack on the Germans at the time of the German invasion of Russia in June 1941, but they do not debate whether or not the Germans actually did invade Russia. You might as well dispute whether or not there was an American Civil War, as opposed to disputing the causes and rights and wrongs of that civil war. These are not facts that historians can deny, or that they have any special authority in deciding. The Holocaust is a fact in the category of the invasion of Russia; it is not something that has to be decided by historical investigation. This is particularly the case with the numbers of Jews killed in it. If these amounted to a few hundred thousand, as Bp. Williamson said, how is it that millions of Jews disappeared from Europe during the years 1939-1945 and did not appear anywhere else? How is it that everyone at the time, including the Church authorities, thought that these Jews had been murdered by the Germans? So Bp. Williamson's claims are not a sort of historical speculation on his part; they are a denial of an obvious fact, that he can and should know is true. Such a denial is uncharitable, for the reasons pointed out above. And denial of the Holocaust is not something that is done out of disinterested historical curiosity; it has the effect, and normally the intention, of whitewashing the pagan Nazi regime, by denying the existence of a crime that discredited it. That is another reason why Bp. Williamson is wrong to have done it. It is embarrassing to have to point out these obvious facts. One of the problems is that Father Hardin didn't speak for the church. His views were merely one among a chorus of chaos, most of which disagreed with his views. This discussion needs to take place because we need the Holy Father to tell us what the heck ecumenism is, for example, and also WHAT IT ISN'T - like a search for truths that other religions possess that we don't. We need him to slam some doors on the erroneous liberal theological views of VC II, and that's where this thing is really going to get good because you know SSPX will go there and not leave this job half done. Judgment day's a comin, libs. Right on the mark with your comment. Incidentally, questioning the validity of the gas chambers is in itself particularly disturbing considering that St Teresa Benedicta of the Cross was martyred in them in Auschwitz. Williamson's questions (and others following this controversy) call into question her martyrdom and canonization. Scandalous.